You’re torn. You’d love to start building up your Christmas fund, paying down debt, or saving for an anniversary trip, but your budget’s already jam-packed. You don’t want to commit to another full-time job to pump up your income. After all, your free time is precious to you. But what if you didn’t have to overwork yourself to meet your budgeting goals? What if you didn’t even have to get a traditional second job? Here are six smart ways to make extra money without sacrificing all your down time. 1. Care for Pets. With fall break, Thanksgiving and Christmas upon us, lots of travelers will need a temporary home for their four-legged friends. Surely you can keep Fido loved and alive for a week? Cats are even easier. In most cases, you don’t even have to cart them to your house. Just check on Fluffy during your lunch break, change his litterbox, and refill his cat food. Hello easy money! Sites like Rover.com are great options for finding a pet-sitting gig near you. 2. Care for People. If giving up your date night to babysit doesn’t appeal to you, why not look for other ways to work caregiving into your regular routine? For example, do you usually pick up your kids from school? Ask around to see if other parents need aftercare for a few hours, or check Care.com. That way, your kids gain a playmate and you gain a paycheck. No sweat. 3. Rent Your Home. Headed on a weekend getaway or going to Grandma’s for a week? Why not rent out your house while you’re away? You may even earn enough to cover your trip! Wouldn’t that be nice? Check out details for home sharing at Airbnb.com. 4. Run Errands. Errand services like Taskrabbit.com and Shipt (for groceries) are popping up all over the place to help busy people clear their overflowing schedules. You can even wait in line at the DMV for someone! You’re essentially being paid to stand and read your favorite book. 5. Hit the Road. As long as you’re not directionally challenged, you can score some extra cash as an amateur taxi driver with ride-sharing services like Uber and Lyft. All you need is a car, a cell phone and a few spare hours each week (a smile doesn’t hurt either). You can drive as little or as much as you want. And the best part is tips are welcome! 6. Cash in Your Hobbies. You’ve got mad skills. Now you just have to figure out how to market them. What do you already know how to do or enjoy doing in your free time? Graphic design? Online tutoring? Woodworking? Sewing? Use that to make money on the side. This is especially convenient if you have kids, as you can do it from home after they’re in dreamland. An hour a day might be all it takes to put some serious cash in the bank. Don’t let your fear of a second job keep you from earning extra income. With some good old-fashioned entrepreneurial drive, you can create the cash flow you want for your budget without signing up for another full-time job. And who knows? It could even turn into something you actually look forward to! Once the cash starts flowing in, add your extra income to your EveryDollar budget! 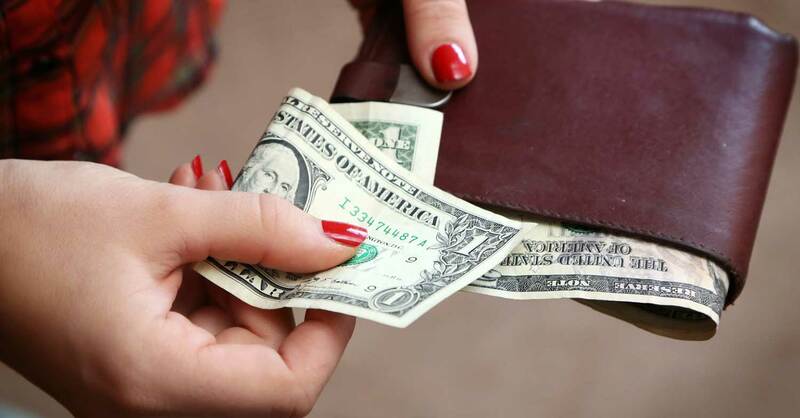 By telling every dollar where to go, you’ll get the most out of your extra earnings.